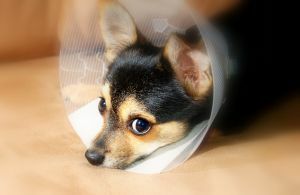 We cater for all dogs that need to recover from an injury including head injuries under the recommendation from your vet. We supply specialized after care for your companion. We are able to administer tablets and ointments as well as injections supplied by your veterinarian, cleaning of wounds and bandage renewal and removal of stitches.We also offer natural healing remedies and services by a outsourced professional. Our services includes taking your companion to our veterinarian if need be. Our special needs centre is mainly focused in our rehabilitation cabin also used for small breed dogs when not occupied by dogs with special needs. This cabin has indoor heating and is away from the boarding dogs at the kennels which gives your dog time to recover in peace and quiet with constant care from our professional staff members. Please contact us for our rates and terms and conditions.